While we sisters offered Parish Missions in Italy and did ministry on the campus of the University of Illinois in Champaign-Urbana, a few young men felt an attraction to the charism of the interior life. 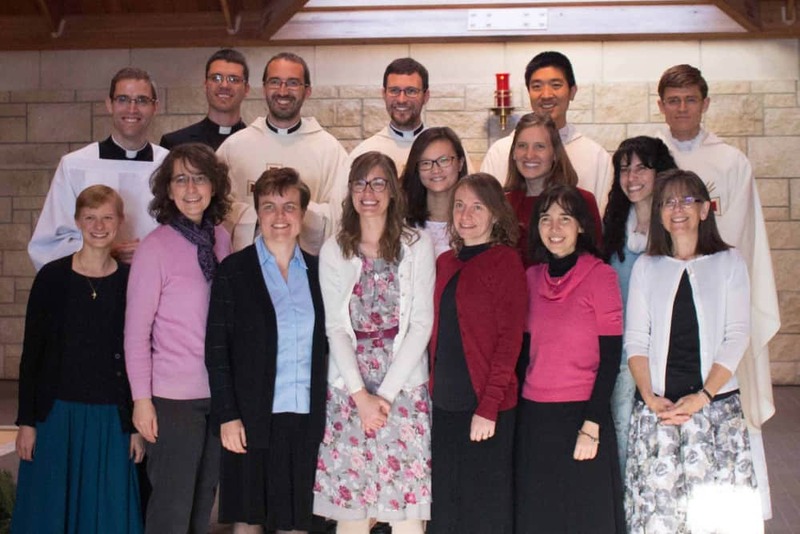 They enjoyed spending time with us sisters, praying with us, going on retreats and having long Italian meals at our houses.Those were the initial intuitions of what would later become the men’s branch of the Apostles of the Interior Life, officially founded in Rome in 2007 by Fr. Salvatore Scorza (who is also the sisters’ founder). Since then, five of our Brothers have been ordained to the Priesthood and other young men are seriously and prayerfully discerning to join their community. Being born from the intuition of one Founder, the female and the male branches share the same charism and way of living it out, in regards to prayer, community life, formation, as well as an apostolic approach to the New Evangelization, though they are two distinct communities. We sisters are extremely grateful to the Lord for the gift of our Brothers, true examples of virtue and of love for the Lord and for the the interior life. We truly enjoy sharing with them the apostolate both in Italy and in the US. To read more about their community, click here.